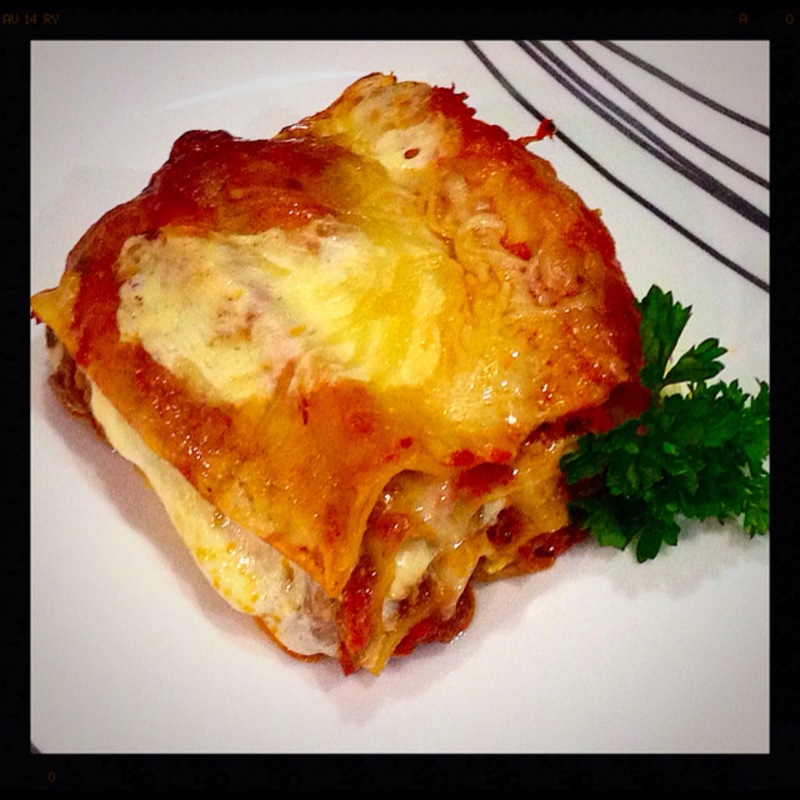 Cooking for a Crowd with Mom: Extra Cheesy Lasagna – Pao Says, "Open Wide!" 2 jars Rao’s marinara sauce (we used prosciutto and arrabiata sauces- use your favorite variety, but this brand of red sauce will change your life… In terms of pasta at least)- 1 of these goes into the meat sauce, and I use the other to add sauce to the lasagna itself since I used the oven-ready pasta sheets and they need extra moisture in the oven to cook. Oven-ready Pasta sheets- these are awesome and super time-saving! In a large pot, heat up about 2 tbsp Olive Oil and toss in the onions. Once they get slightly translucent, add in the garlic, oregano, and basil. As the garlic begins to get a little color, add in the ground beef, salt, and pepper (a little less than a teaspoon of each per pound of meat). Time to assemble your lasagna! In the bottom of the pan, pour about 1/4 of the jar of marinara and spread to cover- this will create a moist base for the pasta to cook. Lay down your sheets of pasta. Layer: meat sauce first, then bechamel sauce drizzled over it, then mozzarella and ricotta cheeses, and then a drizzle of some red sauce. Repeat for another 2 layers, and then top off with pasta sheets. Atop this last layer, drizzle some of the jarred tomato sauce and some bechamel sauce to coat so that the top layer has some moisture, too. Finish with some mozzarella and Parmesan cheeses to coat the top. Pop this in the oven according to the directions on the pasta box- ours said 375 for 30 minutes.